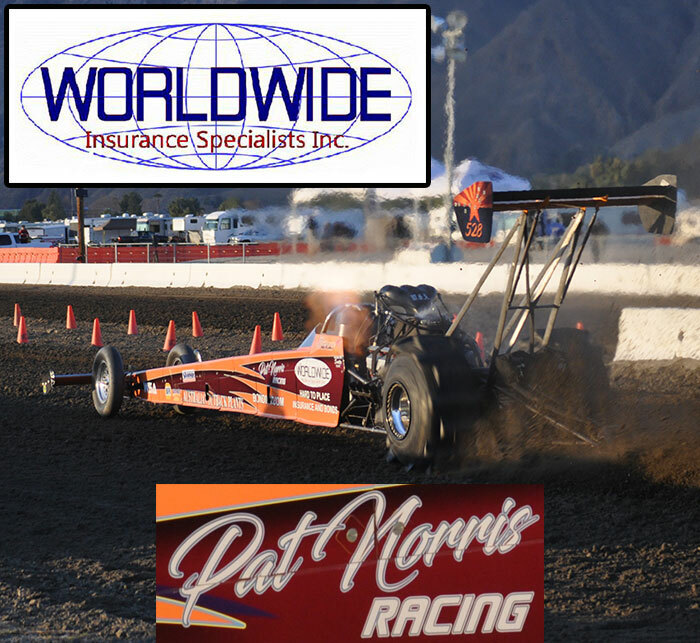 The Morris Family Racing team is a longtime staple of west coast sand drag racing. 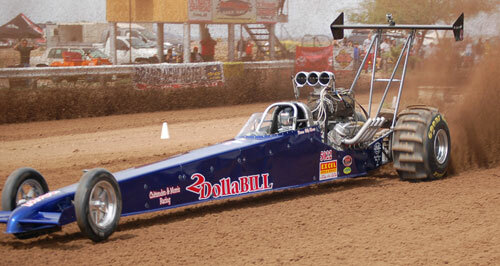 MFR currently fields the 2 Dolla’ Bill Blown Alcohol Dragster that competes in the Top Eliminator class (2.95 Index). This team is truly a family affair with Rick & Shelly Morris owning the car that son Billy wheels. They are back-to-back NSRA Top Eliminator class champions (2012 and 2013) along with champions of the Super Eliminator class in the abbreviated 2010 race season. Towards the end of the 2013 race season, Billy was given the opportunity by Todd Kinney to drive the Team Under The Influence/Rialto Trophy Top Fuel Dragster. Billy successfully earned his Top Fuel license and has competed in three events with a best ET of 2.35. MFR has a great team to support them to victory with a crew led by Problem Child Top Fuel Hydro World Championship Boat Owner Eddie Knows. The rest of the crew includes Mike Dickherber, Jon “Bean” Montez, Joe Jianonni, Frank Lucia, and Clayton Blake. Rick Morris also keeps a close eye on the crew. Rick was the catalyst that started the Morris Family team with the Heavy Metal Blown Alcohol Buggy. Heavy Metal holds the World Record for the Quickest Buggy pass (AA/Buggy) ever recorded with a 2.79. Don’t think it all stopped there as Shelly was also a sand drag racer in the 80’s, so racing is definitely in Billy’s blood. A huge part of the success of MFR is long time crew chief Dan Chtitenden, who passed away in late 2009. The MFR team continues on racing and “living the dream” in Memory of Dan. Billy and the MFR team would like to thank all of those who support them including Shelly Morris, Red Line Oil, Eddie Knox Racing, Short Fuse Racing, and Rialto Trophy. They would also like to thank all of the sand drag racing organizations that do the tireless job of putting on great events as well as NSDN for the excellent race coverage. 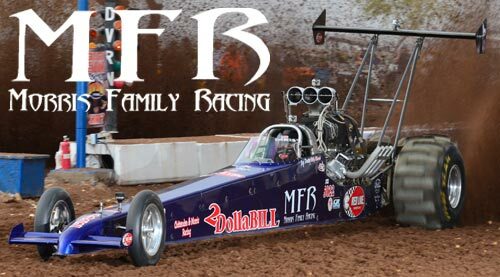 MFR is full steam ahead looking forward to a great 2014 race season. 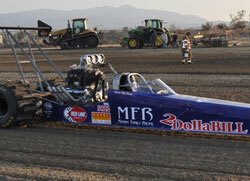 The 2 Dolla' Bill Dragster on the way to a runner-up finish in Top Alcohol at the 2011 Season Finale. 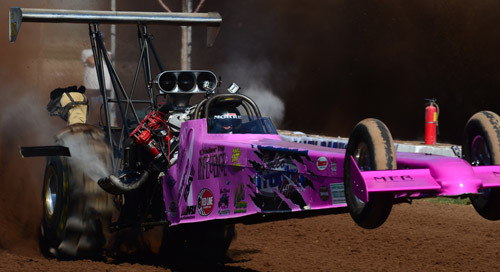 Billy with a wheels up pass in the Team UTI/Rialto Trophy Top Fuel Dragster. Billy turning in a great performance at Dome Valley Raceway on his way to sweeping the 2010 season in the Super Eliminator class. 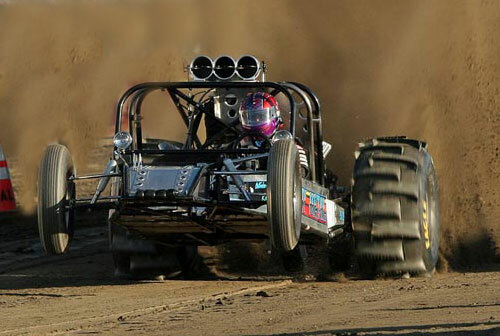 Rick Morris & the Heavy Metal Blown Alcohol Buggy setting the AA/Buggy World Record with a 2.79@123MPH. 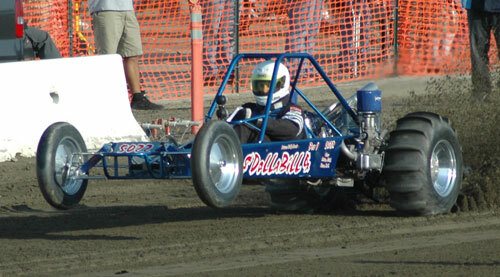 Billy started out in sand drags with the Dolla' Bill Buggy that ran in the Pro 1 & Sportsman 1 Bracket classes. This was a potent combination taking the 2007 Sportsman 1 class championship.